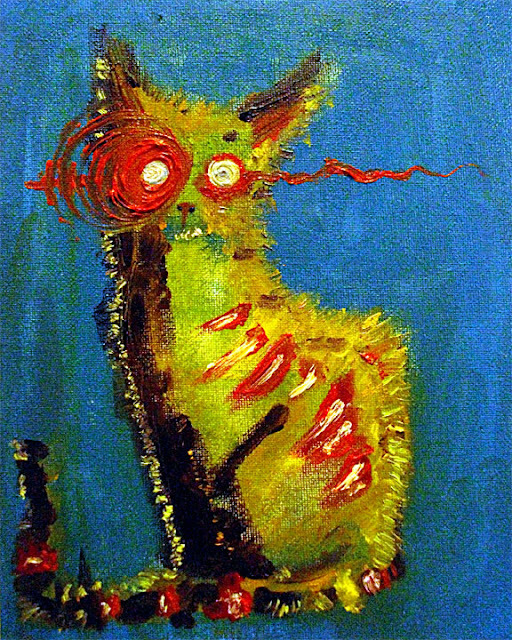 I think this is my first and only oil painted zombie cat. I couldn't quite get the hang of the oils and since I didn't have much to use I was kind of sparse on it. That being said, I really did enjoy painting this undead kitteh ... there is something about oil paint that really brings out a depth and feeling you can't easily achieve with other mediums. I want to get this one in to a forever home before it really does rot away. 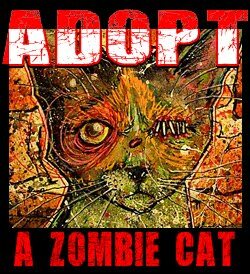 As an incentive I am offering up a complimentary portrait to accompany this kitteh to it's new forever home.